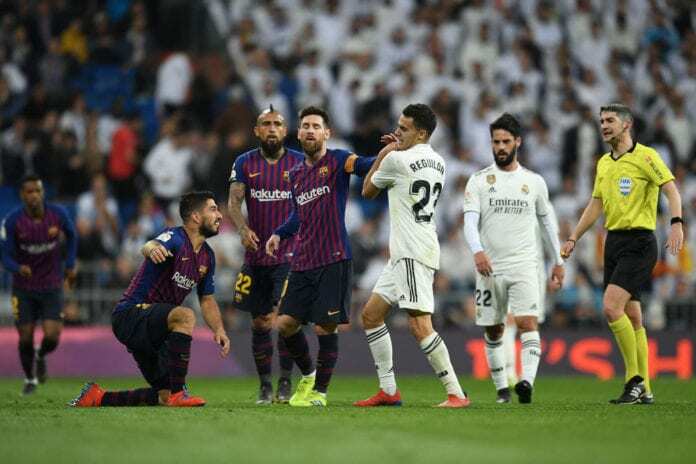 Real Madrid full-back Sergio Reguilon broke his silence into what really went on in his Clasico bust-up with Lionel Messi and Luis Suarez. The 22-year-old has made a breakthrough into Real’s senior team this season, with his strong performances earning him regular starts in the left-back position. 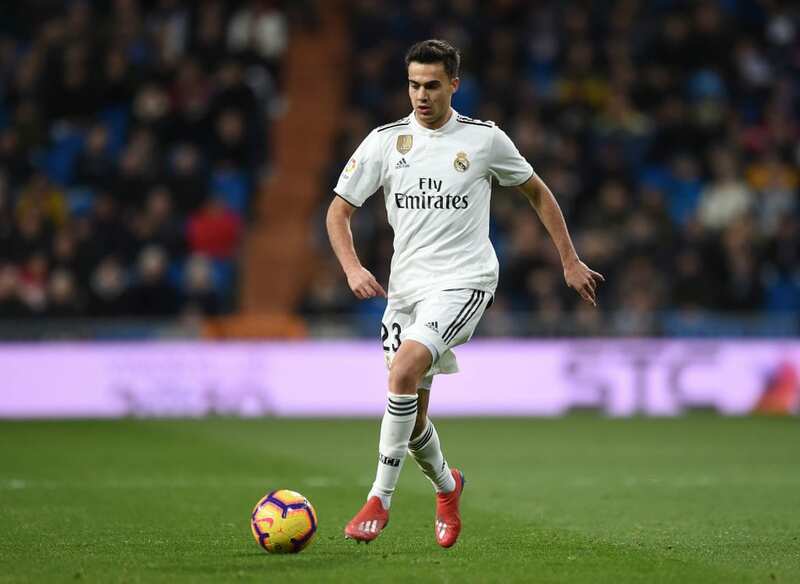 Recently, Reguilon was handed his biggest challenge in a Los Blancos jersey yet in a double Clasico showdown against rivals Barcelona at the Santiago Bernabeu. 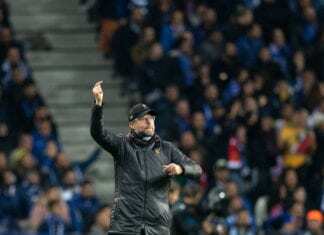 Back-to-back defeats for Real ended their Copa del Rey campaign and has effectively put hopes winning La Liga in jeopardy as they lie 12 points behind Barcelona heading into the final 10 games. 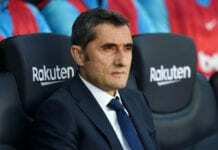 Despite this, however, Reguilon impressed once more for Real and managed to keep five-time Ballon d’Or Messi quiet during the Copa del Rey game. But the Spain U-21 international was later involved in a hotly disputed spat during the second game with the Barcelona captain and Suarez, which saw him label the latter “ugly” and Messi a “flea”. “You’re going at a thousand miles an hour in a Clásico,” Reguilon told Onda Cero. Meanwhile, Reguilon’s stunning progress this season saw Marcelo reduced to a bench role under former manager Santiago Solari. Zinedine Zidane restored the Brazilian at left-back in his first game back in the dugout last weekend, with Marcelo producing a good performance as Real defeated Celta Vigo 2-0 last weekend. Therefore, Reguilon has no doubts over who is the main left-back at the Bernabeu. “The effort put in can’t be denied and people see that, so they can’t rebuke you for that,” he said. “Also, having been through the Academy they care about me.